(Mytheos Holt) – 2018 has barely finished dawning, and already, the pharmaceutical industry once more has egg on its face from outrageous price hikes. 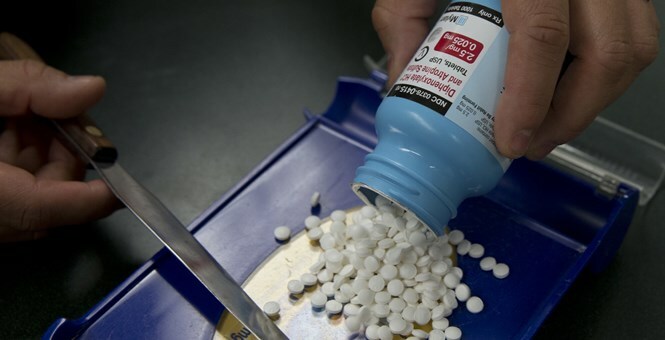 This time, the culprit is pharmaceutical startup NextSource, which apparently has taken a 40-year-old cancer drug known as lomustine, and ruthlessly hiked its price from $50/pill in 2013, to $768/pill now. In other words, they’ve raised the price of the drug by over 1400% over the past five years. Now, obviously, the drug has been around for 40 years, so the costs of developing it to NextSource, which only acquired the rights to it in 2013, have likely been nonexistent. Which means that the company set the price entirely on the basis of the fact that the drug benefits patients, or to put it more bluntly, the fact that patients need the drug in order to not die. “Nice life you’ve got there, shame if anything happened to it,” is essentially their reasoning. Granted, NextSource is far from the only pharma company to hike its prices with the new year – the practice is still distressingly widespread – but it is the most egregious. Now, sure, some True Conservatives ™ might read this news and loosen their bowties just enough to nasally intone that that’s how markets work, and what are you, a socialist? And you know what? If this were a price that was set in anything that looked remotely like a free market, they’d have at least a point about the process involved. But, and I will repeat this point until I’m blue in the face, the drug market is not a free market. Rather, it is an assortment of monopolies or near-monopolies that drug companies will move heaven and earth to protect, so that they can go on charging any price they want. In fact, lomustine, which has somehow never been developed into a generic drug in 40 years of existing, is a perfect example of how these practices can lead to de facto monopolies, long after their legal foundations erode. If a generic version of lomustine existed – in other words, if market competition were introduced – it is highly dubious that the drug would fetch even a fraction of its original cost, let alone the gouged nightmare it has become. And make no mistake, Big Pharma very much wants us to remain at the mercy of their monopolistic practices, and not to be subjected to market forces. The fate of lomustine is what they would impose on every single drug on earth, if they could. You can tell because every legislative or policy-driven attempt to introduce market forces, or to curb price gouging in their absence, is on Pharma’s hit list. The US Patent and Trademark Office (USPTO)’s common sense attempt to crack down on unfairly renewed and issued patents through the Inter Partes Review process? Pharma’s against it, even though it has almost never gone against them. The CREATES Act, which would enable generic drug manufacturers to purchase samples of brand name drugs once they got approval from the FDA, rather than letting pharma go on abusing the Risk Evaluation and Mitigation Strategies (REMS) program? Pharma blatantly lied about what it would do, to try and sink it. The 340B drug pricing program, which enables safety net hospitals, rural hospitals, children’s hospitals, and any number of other underfunded institutions to purchase drugs at lower prices, as a condition of Pharma’s continued access to taxpayer dollars? Pharma has campaigned against it for years, and cheered its being gutted by friends of theirs at the Department of Health and Human Services (HHS ), though Congress may resolve this particular mistake. In other words, lomustine’s hike is a powerful and needed reminder of what the future of the US drug market will look like if the pharmaceutical industry is not held to account. Fortunately, bipartisan coalitions exist to challenge them. With any luck, 2018 will prove to be for those coalitions what it should also be for President Trump: a year of action.